Swimming is a great sport for all round health and fitness and it is also an important life skill. Bluecoat Sports have a passionate belief all children should be happy and safe in the water. Our friendly qualified team of instructors run enjoyable swimming courses and activities for your children, whilst maintaining a high professional standard of teaching. Our parent and baby drop-in sessions are supervised by our friendly instructors, helping you and your child gain confidence in the water. We do this in a fun safe environment with the use of toys and games to make it really enjoyable for your child. These are drop in classes and you can come along as a member or a guest by speaking to Reception. View Timetable and Book Now. These Waterbabes courses are suitable for pre-school children aged 2 upwards. 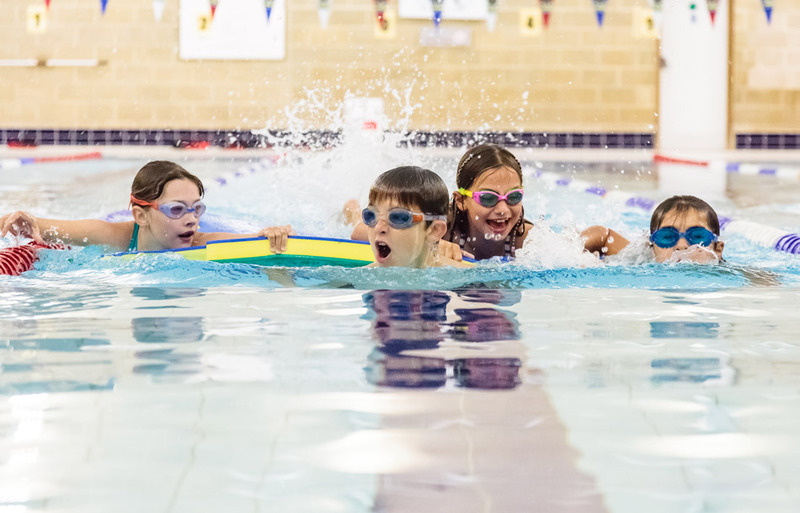 During the sessions you join your child in the water, so you can give them confidence whilst our qualified instructors can help the children develop their fundamental swimming skills. The sessions during this course last for 20 minutes each time. Book Now. If you have school age children, they can join our after school sessions during the week and on Saturday mornings. These are structured lessons and cater for complete beginners to the more advanced. Children can develop at their own pace with our professionally trained Swim School Instructors, progressing through the different levels. The team continuously assess children throughout the term to make sure they are in the class which is right for them. Some children (and adults) need more individual attention to help them develop their swimming skills. We offer 1:1 lessons for children or adults who want more support with either learning to swim or improving their swimming. Our friendly instructors help you build your confidence and develop your breathing and swimming techniques so you become a more confident and proficient swimmer. Barracudas is a non competitive swimming club for more advanced swimmers. The Club meets on a Monday from 18:15 – 19:00 and/or Fridays from 17:30 – 18:30. These sessions help children work on their technique for all four strokes, starts, turns and use of the pace clock. Once or twice a term the children play water polo which is a very popular session, and at the end of each term there is a swimming gala. 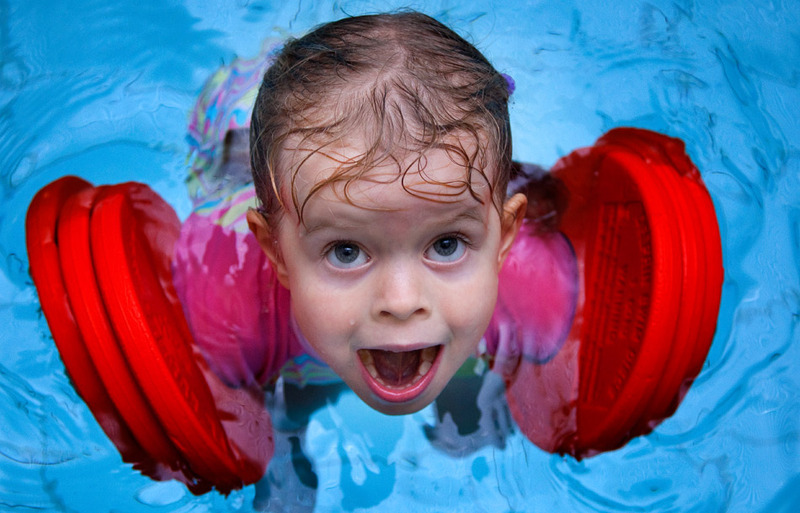 Kids of all ages love our Fun Splash session so come along and the whole family can join in! The frog floats, mat floats and ring floats, in fact ALL the floats, go into the pool and it’s a fun swim session for everyone to enjoy. Fun Splash takes place every Saturday and Sunday during term time and at various times during the holiday too. It’s perfect for wearing them out and having a lot of fun at the same time! If your child has shown an interest in lifesaving, then our Rookie Lifesaving programme helps them start to develop these important skills. The programme consists of 15 minutes pool side, and half an hour in the swimming pool. These cover rescues, water safety, casualty management and first aid. Children joining our Rookie Lifesaving programme must be 8 years or older and able to swim in deep water. 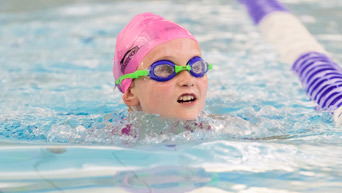 Many children love swimming and find it a fantastic way to keep fit whilst enjoying themselves. 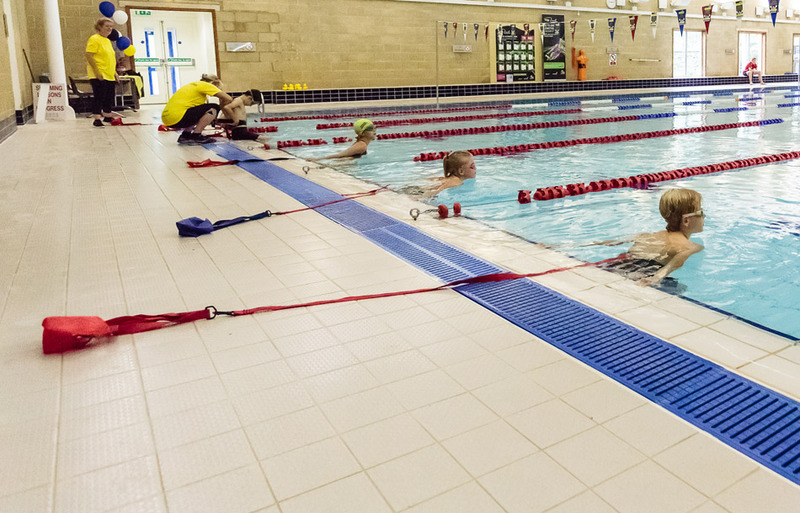 Children who are over the age of eight and can swim six lengths continuously can join our Swimfit classes. These help them get water fit to improve their technique, stamina and endurance in the water. Adults can join these classes too so it can be the perfect keep fit activity to do with your older children. During the school holidays, Bluecoat Sports offer week long intensive swimming courses for those wishing to brush up on their technique, learn a new skill or just try something completely different. 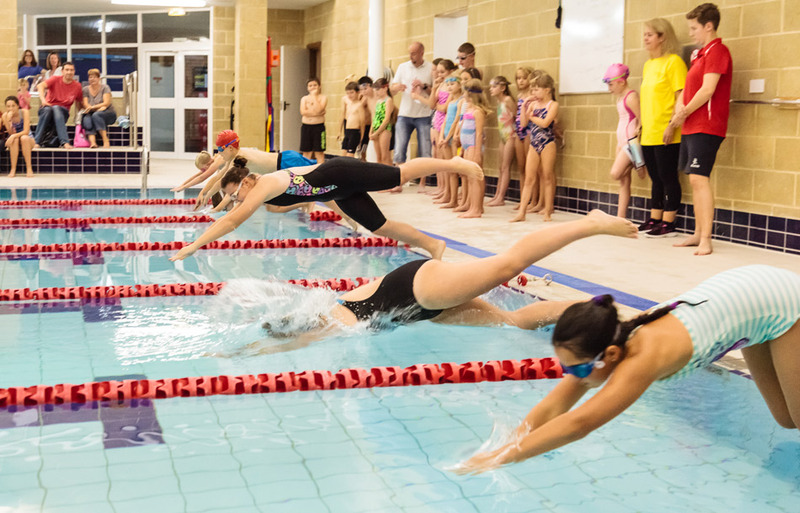 These courses cater for children of all abilities from the complete beginner to the more advanced including Front Crawl/Backstroke and Breaststroke/Butterfly stroke clinics. For those wishing to develop other swimming skills, we offer Snorkelling, Flip’n’Fun and Aqua Extreme. All the children receive a certificate of attendance once they’ve completed the daily 30 minute sessions over the 5 day course. Book Now.